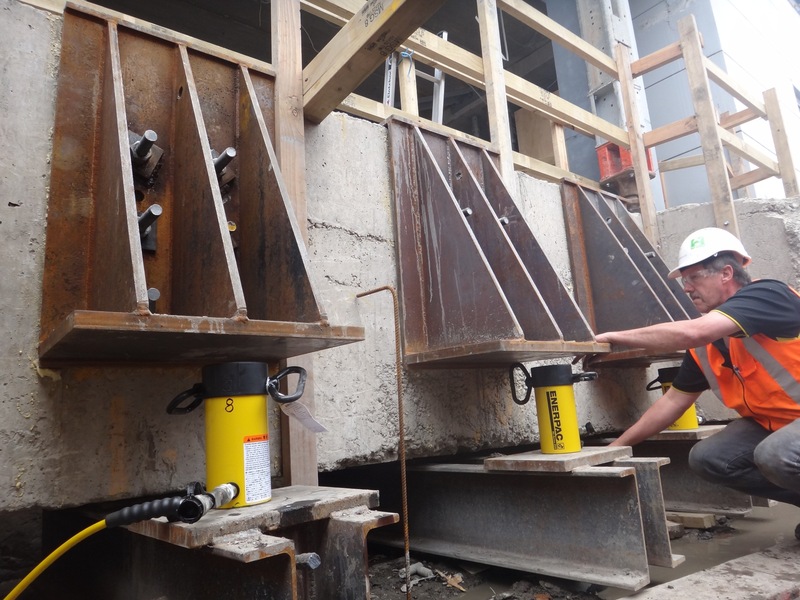 Screw piles can be used to provide support for hydraulic jacks used to re-level structures. 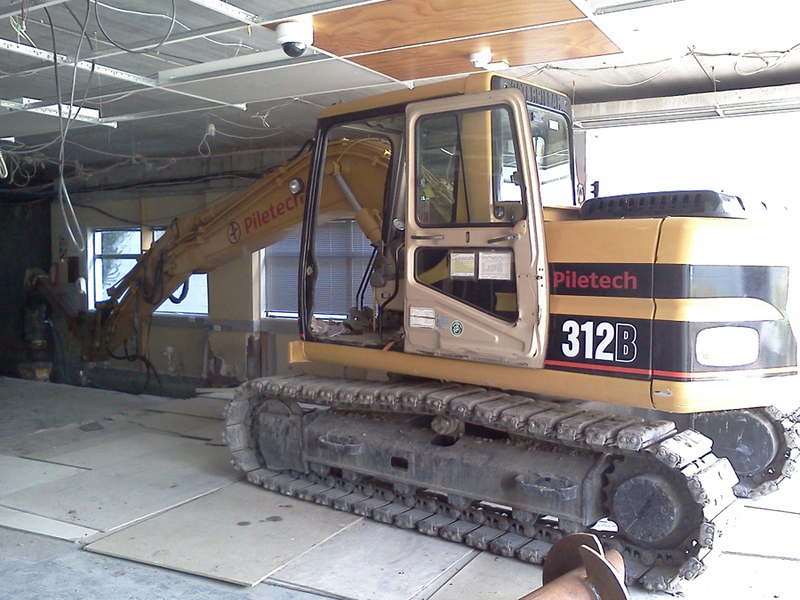 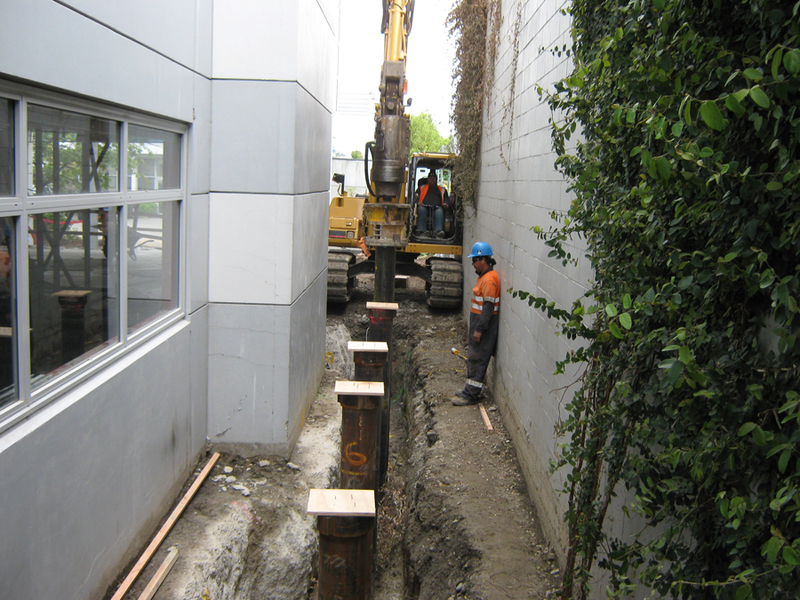 Piletech has the capability to install screw piles in tight spaces in and around existing structures. 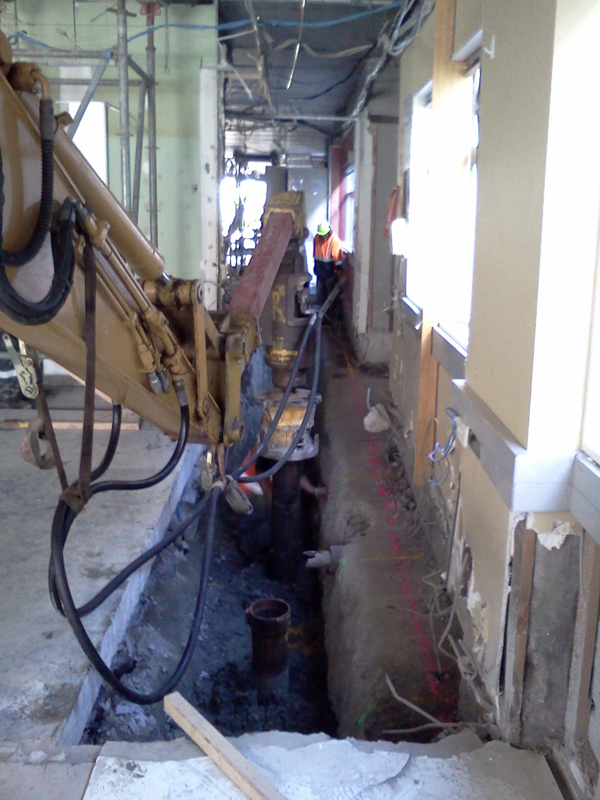 We can then work together with specialist contractors such as Brian Perry Civil, RElevel or others to install new foundations and hydraulic jacking systems necessary to re-level structures. 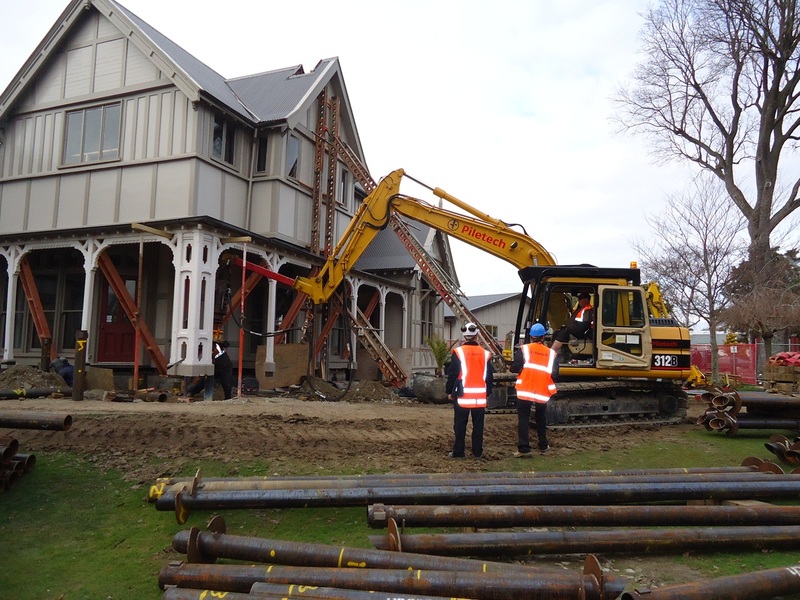 Piles can be used purely to lift the building and then disconnected, or designed to be left in place to support the building long-term.